Quite sad, really. In case you didn't notice, the case against PFLP-GC is entirely circumstantial, and also doesn't fit a substantial portion of evidence. If the evidence implicating them was looked half as hard as it was looked at the evidence implicating Megrahi, there is near certainty at least some of that evidence would be explained away and shown not to be connected to the case. However, that didn't happen, because the investigation focused on Megrahi for one reason or another, his case went to court and the evidence implicating him was scrutinized for years after his conviction. Unfortunately I don't have the resources (or a reason) to pursue the case against PFLP-GC. However declaring them guilty - and Megrahi completely uninvolved - on the presented evidence is simply ridiculous. Actually, sometimes you investigate evidence and by doing so confirm it. It's not always the case that you examine evidence and by doing so explain it away. It would be a very strange world if it worked that way. I don't know how you think you can know that further investigation would exonerate the PFLP-GC, given that you admit yourself that you are not capable of carrying out such an investigation. Any evidence that goes into a trial will (almost certainly) be weakened by the defense in one way or another. This was the case with Megrahi, whose evidence was scrutinized for years after his conviction. This wasn't the case with the evidence against PFLP-GC. From that perspective, both bodies of evidence haven't been equally treated yet, and there is very little doubt that the evidence against PFLP-GC would be weakened if it went into a trial. It is questionable by how much, yes, but it would be weakened. This is what I was referring to. Irrespective of how strong the evidence against PFLP-GC would be, any competent defense will weaken it. In other words, it is similar as if the case against PFLP-GC has only had the prosecutors have their say, but not the defense. Declaring them guilty here and now in a thread dedicated to miscarriage of justice in another trial is, not to be too rude, silly. You're right, however, that an investigation into PFLP-GC could uncover more damning evidence against them, especially if they were indeed the perpetrators. This is not in doubt, but not what I was referring to. I would again like to point out that the case against Megrahi is weak because the evidence against him is suspect. If the evidence against him is legitimate and accurate, then the conviction is sound. On the other hand, even if all the evidence that we have against PFLP-GC is taken into account, I doubt it's enough to even begin a trial, much less win it. Once again: there is enough to warrant investigation, but not enough to convict. Not by a long shot. Any evidence that goes into a trial will (almost certainly) be weakened by the defense in one way or another. This was the case with Megrahi, whose evidence was scrutinized for years after his conviction. This wasn't the case with the evidence against PFLP-GC. Something like that seems true enough on the surface, and I started out wanting to agree with you. the PFLP leads were not fully investigated, partly for lack of access to the crucial bombmaker Khreesat, sitting in Amman... but as a side effect maybe less debunking, as sometimes heaped on "official" decisions. But actually, There were dismissals, counter-arguments, and so on formulated by investigators and prosecutors and the Zeist Judges. Khreesat's was not the right radio model, no evidence the GC had a MST-13, various lesser points. There were five devices described. And that he never used two-speaker models like the Toshiba RT-SF16 identified in PA103. Which we're accepting as from the IED. For missing bomb no. 5, Khreesat pointed to a one-speaker Toshiba model RT-F423. "It was bronze in colour just like the model in the catalogue.” He did specify some knob modifications in the one he saw. Everyone gives a pass - he's well-known for one-speaker radios, record players, and computer monitors. But never ever a two speaker model... Could we speculate he used a two speaker model to look less like his handiwork (perhaps slip through a warning about single-speaker radios) and then just flat denied it? Yes, it's possible. Khreesat is reported to have had a brown Samsonite, one bomb disappears six weeks, and then brown Samsonite appears in the deadliest corner of container AVE4041 in London, following a covered-up security breach at the very terminal. That same corner has a brown Samsonite with a RT-sf16 bomb detonate 38 minutes after PA103's takeoff. Could I say once more that whether or not a legally water-tight case can be made against the PFLP-GC or not has no real bearing on whether or not the case against Megrahi stands up. The subject of the thread is whether Megrahi bombed that aircraft - not whether the Libyan regime was involved, or whether the PFLP-GC did it. You [McHrozni] are moving the goal posts here. First you demanded evidence that there were other credible suspects apart from Megrahi. You've been given that evidence. Now you insist that a legally-watertight case be made against them, before you'll doubt Megrahi's guilt in any way. You're pushing the bar irrationally high. Also, you're taking any evidence that might point to a Libyan involvement of any kind, and asserting that is evidence for Megrahi's personal involvement. It isn't. I would again like to point out that the case against Megrahi is weak because the evidence against him is suspect. If the evidence against him is legitimate and accurate, then the conviction is sound. I'm going to assume that what you mean by that is that the only reason to doubt the case against Megrahi is the suspicions that certain pieces of evidence may have been tampered with or fabricated. While there are certainly legitimate reasons for suspecting tampering may have occurred, I think several of us have shown in this thread that even if that timer fragment is entirely genuine, it doesn't prove Megrahi's guilt in any way. First, there's no reason to believe another terrorist group couldn't have got hold of one of these timers. Dammit, the CIA had one - who else might have got hold of one in the two years since they were supplied? You don't know and I don't know, but to suggest that's impossible is just plain ridiculous. Second, even if the timer did come directly from Libyan central ordnance, that still provides no proof of Megrahi's involvement. To make a case for Megrahi's personal involvement, you either have to prove he bought those clothes from Gauci (which as you've already essentially admitted is beyond tenuous), or you have to prove the bomb went on board KM180 at Luqa. You haven't even touched on that little difficulty. To repeat. The documentation of the loading of KM180 at Malta that morning was tighter than a duck's arse. The investigators tried everything they could to chip a hole in it, up to and including tapping the private telephone lines of baggage handling personnel, and they couldn't dent it. Not only that, Megrahi was apparently alone at Luqa airport that morning, and never went airside. There's no possible way he could have got that suitcase anywhere near the baggage of KM180 without an airside accomplice. The man originally accused of being his airside accomplice wasn't even at the airport that morning. How do you think he pulled off this trick? You assert you still think he bought the clothes despite the solid evidence (attested to by the SCCRC investigation) that the purchase took place on a day when Megrahi couldn't possibly have been the purchaser. Why? Because of all the other evidence, you say. What is that evidence? Oh, he was at the scene of the crime. No, it looks as if he wasn't. It looks as if he was somewhere that specifically wasn't the scene of the crime. So what else have you got? At this stage you seem to be falling back on a fantasy that the authorities had some sort of sooper-sekrit killer evidence that they aren't telling anybody about. An argument that would get a 9/11 twoofer laughed off the forum. Just waving your hands around asserting what plainly isn't so does not an argument make. Last edited by Rolfe; 15th March 2010 at 03:59 AM. A ferry ride across the Channel and a casual cover story is all that might be keeping this from being "all too clear." The MST-13 timer was there... to frame Libya? And Megrahi's role was... ? CL, we cannot possibly prove to the satisfaction or a court of law, or to McHrozni's satisfaction (which seems to be even more demanding), that Khreesat built that bomb. As I've said before, the reason for doubting Megrahi's guilt is not that the guilt of the PFLP-GC is proven, but that the evidence supporting Megrahi's guilt is smoke and mirrors. It would still be smoke and mirrors even if we'd never heard of the PFLP-GC. McHrozni doesn't seem to have challenged the smoke-and mirrors part. He agreed that Gauci's evidence was confused and unreliable. He hasn't even addressed the Air Malta baggage records or the lack of an accomplice at Luqa. He's done a bait-and-sitch to demanding not only an alternative suspect, but legally watertight proof that the alternative suspect is guilty. This is frankly ridiculous and I don't see any point in pursuing that argument. I think it's absolutely crucial that when anyone examines the 'evidence' that was presented at Zeist, and simply concludes that well, yes it was highly circumstantial and threadbare with hard facts, but there was no other evidence of any other involvement, then really they should think again. Consideration, distinction and explanations must be sought on the other aspects of evidence, of which there was much, and far more weighty than that used to convict Megrahi, which was either waved away by the judges or simply not revealed to the court and defense lawyers. 1. Suggest that clothing packed around the bomb was bought by Megrahi. As is quite apparent, even to those who somewhat hesitantly accept Gauci's statements as being of honest but confused, it is a huge leap to then determine with all these inconsistencies, that Gauci's evidence should remain one of the central pillars in Megrahi's conviction. Aside from his incoherent descriptions of the buyer, what remained relatively constant and was supported by other official sources, was that the date of the purchase, if indeed there was any such purchase, was demonstrably Wednesday the 23rd November - a date which Megrahi was shown not to be on the island of Malta. So, the judges made mental and logical acrobatics in order to skew their conclusions that the purchase was made on the 7 December, when most importantly for the prosecution, Megrahi was on Malta. 2. A personally kept computer printout showing an unidentified piece of luggage apparently arriving at a Frankfurt coding station around the same time that Air Malta's bags were being put into the system. Even accepting this very dubious record, it only shows a 'bag'. It may well have been just another one of many stray bags that circulate any large international airport, or it may simply have been a set of golf clubs or any other piece of innocent luggage. And this matter is only if you accept this one single piece of computerised record that was unveiled by the BKA over the course of the whole investigation. Now, where a distinction and thoughtful consideration must be given is to the evidence produced at the original trial, the subsequent first appeal by Megrahi, and the SCCRC decision which was made in 2007 which showed, that far from Malta being the point of ingestion, there was more substantial evidence which pointed to the bomb being introduced at Heathrow, and that Mr Gauci and his brother had received "financial compensation" for Tony's testimony at Zeist. It is rarely disputed that the suitcase in which the bomb was housed was a bronze - or bronze like - Samsonite hardshell suitcase. This was the suitcase that the paid CIA informant Giaka had claimed he had seen Megrahi and Fhimah with at Luqa on the morning of 21st Dec 1988. Of course, everyone now knows Giaka was simply telling anyone anything they wanted to hear in order to secure continued financial payments from the CIA, and even they thought he was a complete fantasist. At Zeist however we had witnesses, Heathrow baggage handlers, who had given statements very early into the investigation of two extraneous suitcases, one said to be "bronze or possibly maroony coloured" suitcases being introduced into container AVE4041 just before it was loaded onto Pan Am 103. It was this precise container which, less than a week after the plane had went down over Lockerbie, was determined by investigators the container in which the suitcase with the bomb had been inside. The damage to the container also seemed to indicate the location of this piece of luggage containing the bomb, which was near the floor on the outer edge of the container nearest the fuselage of the aircraft. This also matched the description given as the two unknown bags which were spotted by the Heathrow baggage handlers, which were placed, according to their testimony, on the bottom layers of the baggage container, near the outer edge. At the first appeal hearing in 2002, it is also revealed that a security breach had occurred at Pan Am103's gate in the early hours of December 21st. The Heathrow guard who reported the breach from landside to airside, had duly noted this, and even more astoundingly, had been interviewed by anti-terror police in January '89, just a few weeks after 103's bombing. The breach was not an everyday occurrence at Heathrow, and hardly something which should be just simply cast aside, especially one would think when later that day, a bomb went off in the hold of a plane which had departed from that very gate. This was the deaths of 270 people that were apparently being "investigated", the largest mass murder in British history, and yet this information of the break-in at Heathrow was subsequently suppressed for nearly 12 years, and may never have come to light had the Heathrow security officer Ray Manly not been completely perplexed at his evidence's omission at the trial at Zeist, and had contacted the lawyers himself. Tony Gauci's testimony then comes under further scrutiny, and is most certainly critically undermined, when the SCCRC uncover and disclose publicly that he and his brother had received significant financial reward for their witness testimony at Zeist. About $4m. So, not only do we have a severely compromised tale emanating that the clothing purchase was made by Megrahi, but that this one piece of record produced by the BKA showing some sort of unaccompanied luggage passing into their system, but we have much more weighty evidence emerging that the bag may well have been introduced at Heathrow rather that the more fanciful notion of Malta. These areas must been given long and serious consideration before any attempt can be made to uphold the story that Megrahi did indeed buy these clothes, and he did indeed then place this bag on an Air Malta flight, hoping it would negotiate it's way around 3 airport security systems and the subsequent 'guilty' decision concluded by the Zeist court and judges. And if you agree that the evidence presented by the Heathrow employees is far from conclusive but carries greater inference that that of the evidence from Luqa, then put simply, Megrahi is innocent of the charges laid and that he was convicted of. Last edited by Buncrana; 15th March 2010 at 04:43 AM. I was just going all out to make sure we had that covered, and also to explore some of the connections. It's novel, just accepting the radio model and timer and trying to work it back with Khreesat's stuff. But that's all for now. It's suddenly an hour later than it really is here and I shall sleep now. It's interesting to note the number of people who originally started looking at this case simply because they could see that the evidence supporting the conviction quite obviously wasn't sufficient to prove guilt "beyond reasonable doubt", who have then gone on to become convinced that Megrahi didn't do it. Professor Black is one of these. He's a very senoir lawyer, and has said that he's now convinced not just that the conviction was legally unsound, but that the court actually convicted an innocent man. He hopes (he says) that his readers understand the difference. I'm perfectly open to rational arguments to the contrary. However, we seem here to be stuck on assertions of guilt in spite of the evidence, not because of it. You [McHrozni] are moving the goal posts here. First you demanded evidence that there were other credible suspects apart from Megrahi. You've been given that evidence. Now you insist that a legally-watertight case be made against them, before you'll doubt Megrahi's guilt in any way. Stop lying Rolfe. I said Megrahi's guilt is in doubt many times over. I just think he was still a crucial part of the plot, based on the evidence that we have, and I don't think that doubt about his guilt could preclude me from thinking he's guilty anyway. I have told you that before. In a court case, things would be different. But since my opinion carries no legal weight it is also not burdened by the same standards of evidence. I believe something that is in doubt is still probably true. Is that a crime now? I believe I also told you before that if Megrah was involved in the bombing doesn't mean PFLP-GC wasn't involved at all. I also told you it is entirely plausible Megrahi was a minor agent in the operation and was scapegoated by the investigators, for whatever reason. I see no real need to respond to the rest, seeing as you ignored a very large portion of what I explicitly told you many times over now, and resorted to a straw man instead. Would you care to tell me what it is about this man that drives you to such passion? There is also the (again, suspect) Gauci testimony, that implicated Megrahi quite strongly. The timer strongly implicates the Libyans, and Gauci's testimony strongly implicates Megrahi. If you assume these two pieces of evidence are correct, then the best explanation is that Megrahi was involved in building and concealing the bomb. That's why I asked for a different suspect, but Rolfe wasn't listening. If Megrahi bought the clothes and the Libyans were involved, this would be a rather unbelievable coincidence, and he would almost definitely be involved in some way. Legally, I wouldn't expect these two pieces of evidence to stand, of course, but that's another story altogether. How many more times do I need to repeat myself anyway? I better do it again. I believe the evidence we have shows Megrahi is guilty. I don't believe the evidence we have should stand in court, based on the doubts around the evidence that were expressed here and elsewhere. Yes, I'm quite happy with that. A court decision must necessarily interpret all doubt in the favor of defendant to avoid false convictions. But I'm not burdened by that, and I think the evidence implicating him is strong enough to formulate a personal opinion that he is indeed guilty. If I were in a jury, I'd declare him not guilty. And again, I think his guilt is not proven to the extent the law requires. I do not think only what can be proven to that extent is true, and I do think Megrahi is guilty. And yet again, if evidence for an event isn't strong enough to prove a certain version of events in court, it doesn't mean the said evidence is necessarily false. And yet again, courts standards of evidence are set to favor declaring a guilty man not guilty over declaring a not guilty man guilty. What exactly makes you think a not guilty verdict should be seen as more credible than a guilty verdict? That's where your reasoning leads, Rolfe. Both can be wrong, by the way. You, Rolfe, apparently don't. You also don't appear to understand the difference between an opinion and reality. I think the events happened in a certain way, and this produced (some of) the evidence we have. Fine, that lawyer disagrees with me, if you're looking for a better source than me he is a good choice, I suppose. I still think Megrahi was an important part of the bombing, however, and I explained the rationale for that several times by now. If my rationale is wrong the world will not end, and neither will he go back to prison, so I'm quite unburdened by that. Why you are, Rolfe, remains a mystery to me. There is also the (again, suspect) Gauci testimony, that implicated Megrahi quite strongly. This might be one of the areas where you're going wrong. Not least the contradiction between 'suspect' and 'quite strongly' that shines out in the quoted section above. The Gauci testimony should have led towards 'not guilty'. Gauci - in the cold light of day - provides an alibi. As Buncrana points out above, it required extreme logical gymnastics on the part of the judges to attach any incriminating weight whatsoever to the Gauci testimony. He described a different man. He described weather that wasn't there when Megrahi was. He described an absence of Xmas street lights that excludes Megrahi being there on the day of the mystery shopper. What else did he say that constitutes positive evidence against Megrahi? Have you actually studied the evidence, or do you respond to what's presented to you on a post-by-post basis, knee-jerk fashion? ooops wrong thread. Oh well. I don't appreciate being called a liar, when I'm doing my best to understand you. You seem to me to be saying that you believe in his guilt in spite of the evidence. That's your prerogative, and it's not a stance I can debate with. I believe I also told you before that if Megrah was involved in the bombing doesn't mean PFLP-GC wasn't involved at all. And I agreed that it wasn't beyond the bounds of possibility that Libya and the PFLP-GC were both parties to the bombing. That still doesn't address the question of whether Megrahi was the Libyan agent involved, in that case. I also told you it is entirely plausible Megrahi was a minor agent in the operation and was scapegoated by the investigators, for whatever reason. Indeed. The problem is that you haven't put forward any reasonable case for him being involved at all. It seems to me that you've ignored the most important part of what I've been saying, for several posts now. If you think I'm misunderstanding your position, perhaps you could re-state it. I'm not aware of having ignored anything you've said, and I'm trying to make allowances for someone debating in a non-native language. Nothing at all. The mystery of how Pan Am 103 came to fall out of the sky is however an extremely interesting one. Unfortunately it seems scarcely possible to debate this without someone coming into the thread asserting that Megrahi actually did it, which leads to discussions such as this. You're beginning to sound like a homoeopath running out of excuses - the standard ploy then is to accuse the sceptic of being "emotional" about the issue. How so? I've agreed weak implication, certainly. However, what evidence do you have that they never, ever passed any of these timers on to other groups? How did the CIA get one, if they were so tightly controlled? and Gauci's testimony strongly implicates Megrahi. No, it doesn't. The strongest thing about Gauci's testimony is the evidence of date of purchase - 23rd November. Which rules Megrahi out. As far as identification goes, he never positively identified Megrahi as anything more than bearing a resemblance to the purchaser. He also said that Abu Talb looked even more like the purchaser than Megrahi did. You're free to believe any damn thing you like, but if you can't at least show your working, then it becomes credulity, not rational argument. If you assume these two pieces of evidence are correct, then the best explanation is that Megrahi was involved in building and concealing the bomb. But I've pointed out to you repeatedly that these two pieces of evidence simply don't bear that interpretation. Please, please, explain why you remain certain that Megrahi bought the clothes! Any rational examination of Gauci's various statements reveals someone being constantly prodded and hinted at to get the "right" identification, with various inducements up to a $2 million dollar reward being offered for a satisfactory performance. Tony Gauci is now living in luxury in Australia on the proceeds, by the way. Tony was obviously less willing to come out with blatant, confident lies than Giaka was, but it's the same situation. Giaka was paid a lot of money, and eventually relocated to the USA at the CIA's expense, for inventing the fairy-tales about Megrahi and Fhimah. Unfortunately all that was detailed in douments made available to the court, and so his evidence was disallowed. And yet you believe the other witness proven to have been bribed for his evidence is reliable? Why? And you're entitled to believe anything you like. I was looking for reasons why you believe that way, based on the evidence. That seems to be a little more difficult. Of course courts can get it wrong either way. Plenty people who were guilty as hell have walked free, as well as plenty innocents being convicted. That's why we're considering the evidence, and not what the court decided. I thought you were so certain of Megrahi's guilt because he was at Luqa that morning, and you thought the suitcase had been proved to have gone on the plane at Luqa. However, as you haven't pursued that one at all, do you now realise it doesn't fly? So he didn't put the suitcase on the plane, in fact he was somewhere the suitcase wasn't, at the time. The MST-13 timer is only weak implication of Libya, given the two years between the batch being sold to Libya and the bombing, but even if it does point to Libya, it doesn't point specifically to Megrahi. Your only reason that I could see for preferring Gauci's "identification" of Megrahi in the face of all the doubts I've detailed above, was that it fit with "other evidence". What other evidence, for goodness sake? Last edited by Rolfe; 15th March 2010 at 07:42 AM. You've stated your opinion. You've been quite unable to explain to me the reasoning behind that opinion. You're quite free to go on holding that opnion if you like, though for my part I'm at a loss why you seem to have such a strong need to believe this man guilty in what seems to be complete defiance of a balanced view of the evidence. As I said, I'm interested in the mystery of Pan Am 103. Since it seems to me pretty obvious that it didn't happen the way the court at Camp Zeist decided, what the hell did happen? Or at least, how much can we figure out given the information available? You chose to come into a thread dealing with one aspect of that, announcing your conviction that Megrahi did it. I found this intriguing, because the discussion in my opinion would benefit from someone well-informed about the evidence prepared to support that viewpoint with reasoned reference to the evidence. Such people are as rare as hens' teeth. Unfortunately I can't see you've said anything but, I choose to believe Megrahi bought those clothes because that's what I want to believe. And I don't even know why you're so invested in that belief. I was just reviewing where we'd got to. I notice my two quotes from McHrozni in the OP. The evidence suggests, very strongly, that Megradi [Megrahi] had motive, means and opportunity to carry out the attacks. Near as I can tell, no one else had the motive, means and opportunity to carry out the attacks. If that is true, he carried out the attack - no one else who could would want to. You can't claim the only man in the world could do an act that did happen (Lockerbie bombing in this case) didn't do it, unless you can show another person who could've done it. If I were in a jury, I'd declare him not guilty. I realise the selective nature of the second quote is a bit misleading. However, McHrozni, is it fair to say you've altered your viewpoint somewhat over the past few days? You said several times that Megrahi was "at the scene of the crime", apparently referring to his presence at Luqa airport on the morning of the 21st. However, I haven't seen you defend that or even discuss it. Would it be fair to say you no longer maintain that Megrahi put the bomb on the plane? In that case, would it be correct to say you accept that someone else put the bomb on the plane? In that case, would it be fair to say that Megrahi specifically isn't "the only man in the world" who could have carried out this attack? I appreciate you still believe he bought the clothes from Gauci, but forgive me, I'm still struggling to understand why you believe that, given that you've described Gauci's evidence as "weak", "unreliable", of "very low evidence value" and "questionable". You supported your belief, in part, by saying that for him to have purchased the clothes was consistent with other evidence. However, we don't actually seem to have any other evidence left. The MST-13 timer might implicate Libya in general, but it doesn't implicate Megrahi personally at all. Megrahi was a Libyan intelligence agent, but he was scarcely the only one. I appreciate you still think he did it, but I'm just trying to get the basis for this clear in my mind. Is there anything else I've missed? Last edited by Rolfe; 15th March 2010 at 04:52 PM. I did give the whole thing a bit more thought, and I do admit the case against him is weaker than I initially thought. I may have used the "never said" phrase a bit more liberally than I should have, but by very little, if at all. I'll stop debating in this thread now, since it is highly unlikely that anything new will come up. You're apparently expecting that anyone who thinks he's guilty will be able to give you some new, solid evidence that would stand in court, but wasn't used for some reason. You aren't very likely to get that, unless the case goes to a new trial. Which is possible. Now, just to sum up my position: I think that in the light of all the evidence and all the scrutiny, he should have been found not guilty in the court, even though he was in fact guilty. This might seem a bit contradictory, but it isn't, it's just a strict application of due process. Guilt was not proven, therefore he shouldn't be punished for it, even though he did commit the crime. If you can't understand it, picture a murder taking place, and being filmed by an illegal police surveillance camera, and the murderer can be positively identified with practically no chance of mistake. No other solid evidence exists of the guilt of the man who did the crime, just some highly circumstantial evidence and he can't be ruled out as a suspect. Other circumstantial evidence points to one or two other possible suspects. This murderer would also have be declared not guilty, although there can be no doubt at all he really did do the crime. Our case is more murky, this was just to illustrate my position. OJ Simpsons' murder case is also similar. Evidence of his guilt was considerable, but so badly mishandled as to be questionable, so the only just verdict was not guilty. Law can we weird sometimes. It's a price we pay for a reasonably just society. I also believe life exists on some other planets (or moons), even though it was not yet shown that conditions suitable for life even exist anywhere else in the universe. Does that also disturb you? Last edited by McHrozni; 16th March 2010 at 08:10 AM. I think that in the light of all the evidence and all the scrutiny, he should have been found not guilty in the court, even though he was in fact guilty. This might seem a bit contradictory, but it isn't, it's just a strict application of due process. Guilt was not proven, therefore he shouldn't be punished for it, even though he did commit the crime. Isn't this what is known as the Scottish verdict of "not proven"? I read this a while ago but passed out from absurdity-overload, and have only just managed to regain consciousness. Yes, it is and yes, I have. I thought it was done away with, tho. Interesting. Cya. I don't see where the absurdity is, by the way. Oh, it was said plenty at the time! However, it would have been a problematic verdict. The history of that verdict is that it was originally the one of a binary choice - "proven" or "not proven". This is strictly correct - the case against the accused is either proven or it isn't, and the verdict wasn't saying anything about actual guilt or innocence. However, a case arose where the actual innocence of the accused was felt by the jury to be so self-evident that they insisted on bringing in a "not guilty" verdict (which wasn't proper in Scots law and shouldn't have been accepted). However it was, and this led to the three-way choice at present on offer. This situation is actually completely iniquitous, because it has led to the "not proven" verdict being used to imply that the jury think the accused did it, but they evidence isn't completely watertight. Thus the accused may go free, but the stigma remains. If it had been returned in this case there could well have been a bloody riot. Mmmm, yes. Just a bit. I'll stop debating in this thread now, since it is highly unlikely that anything new will come up. Do I get the million bucks? You're apparently expecting that anyone who thinks he's guilty will be able to give you some new, solid evidence that would stand in court, but wasn't used for some reason. You aren't very likely to get that, unless the case goes to a new trial. Which is possible. No, I'm merely asking for a reasoned explanation, based on the evidence available, why you or anyone else holds the belief that he's guilty. Well, whether you or I or anyone else think he should or shouldn't be found guilty by a court is fairly irrelevant, because he was in fact found guilty. All I wanted was a coherent explanation of why you believe he actually committed the crime, based on the evidence available. You haven't even attempted to maintain that he put the suitcase with the bomb on KM180, and you've consistently agreed that Gauci's evidence is weak, confused and unreliable. You haven't dealt with the fact that the least confused part of Gauci's evidence is the part where the clothes purchase happened on a day when Megrahi was nowhere near his shop. There's pretty much nothing left after that. You can of course believe what you like. Some people believe in the Invisible Pink Unicorn. Oh, I don't have any trouble at all believing O. J. Simpson was guilty, even though he was acquitted. I've read a number of very rational, sensible explanations of why people believe this, based on the evidence available. I'm still waiting for anyone to attempt a similar explanation as regards Megrahi. The little problem with your little tale above is that there's no equivalent of your illegal surveillance camera footage in the case under discussion. Your analogy therefore makes no more sense than your "two men in a spaceship" one. You seem to be reduced to the assumption that the authorities had some sort of killer secret evidence we haven't been told about. The trouble with this assumption is not just that it's unprovable, it's actually irrational. Police prosecute the wrong guy quite often. The fact that someone is prosecuted on weak evidence doesn't necessarily mean there's some great killer evidence hidden somewhere, even in terrorist cases. Usually it just means this was the best case they could scrape together against somebody, so they're going with it. Compare the Birmingham Six, the Guildford Four and the Maguire Seven. Not at all. That is a matter of faith - you've chosen to believe in something for which there is at present no evidence. You choose to believe Megrahi guilty as a matter of faith, in spite of the evidence - as I said, that's your privilege. Rolfe, you've done an admirable job of eliciting, following, and considering McHrozni's responses. The thread has been interesting so far for your persistence. They say we learn from our failures, or rather CAN learn, so here's hoping you've learned a lot the last couple days, McHrozni. Let it serve you well. GlennB, KevinLowe, Angrysoba, Buncrana, hi. Anything to add? Sigh. I admit I was hoping for better. There are actually a couple of other points that could be marshalled to support Megrahi's guilt - one easy to explain, the other (disallowed by the judges) rather less so. McHrozni completely failed to notice these. It's not as if people aren't interested in debating whodunnits. The Amanda Knox thread is well past 5,000 posts now, and there's quite a battle going on about the JonBenet Ramsey murder too. I've seen equally heated debate about O. J. Simpson and other similar cases in the past. It's not as if people don't care about Lockerbie. Last August, when Megrahi was released, the Politics and Social Issues forum areas were pretty much incandescent, with threads springing up all over the place. On about the 20th of most months now, someone starts a thread bitterly complaining that he isn't dead yet. It's not as if people don't engage with complex international terrorist plots involving crashing aircraft. Just look at the 9/11 section. Lockerbie can even give you evil CIA LIHOP and even MIHOP if you're that way inclined. There's no shortage of genuine CTs to spice the whole thing up. If we could only get Charles and Patrick here to expound their theories! It's not as if there isn't enough material. Everything from the AAIB report on the crash to the transcripts of the Camp Zeist trial, never mind jpegs of most of the important evidence, a good dozen professional investigative documentary films with interviews of most of the main witnesses, and more books than you can shake a stick at. It's not as if everybody agrees what happened. We've had a couple of other people in this thread saying they believe Megrahi did it, though they didn't stick around to explain why. If you go into the protest threads in Politics or Social Issues, a lot of people will insist he's guilty. In fact, suggesting he isn't, in that context, just provokes a dismissive instruction to "take it to Conspiracy Theories". I know I sould like a broken record, but I honestly don't understand why almost nobody is prepared to debate their belief that Megrahi is guilty. Kudos to McHronzi for giving it a shot, though I have to say I can't remember when I previously saw anyone cling so tenaciously to their original premise after having quite so many of their presuppositions whisked away. Surely there's some sort of rational interpretation to be put on the evidence that will stand up to scrutiny? You'd think there might be a small cadre of people prepared to debate that, but it seems not. Last edited by Rolfe; 16th March 2010 at 03:08 PM. I gave you that explanation. It's not airtight, and there is grounds for disagreement. Look, for the umpteenth time, Gaucis' testimony was incorrect in one way or another. I just think that he was able to get a good look at his customer and was mistaken about the christmas lights. The rain may have been a minor squall only, not even enough to even fully wet the ground, but enough for a business man to make an extra sale. It's his livelyhood, after all. But again, if I only believed what could be proven to a satisfaction of a court I wouldn't believe many other things as well. Yeah, and I don't really doubt the jury felt any different, but they still found him not guilty. Except that I was using the analogy to show you the principle. If the evidence is in question or inadmissible, the person is to be found not guilty by the court, even though the guilt isn't in any reasonable doubt. It's how our legal system works. It's far from perfect, but it's the best we have. No solid evidence, there are some leads as to how and where it could be possible. It could easily be argued the evidence implicating Megrahi is actually stronger than this, but the cases are too dissimilar to make a direct connection. You just disagree with the latter version for some reason. Sigh. You just think. Have you read any of Gauci's testimony? Have you read the forensic psychologists' reports on it? Are you at all familiar with what story he told in each of his 20 or so statements (not to mention the four or so that the police just "lost"), which photographs were shown to him at each photo-identity parade, and which ones he picked out? The whole of the testimony is doubtful, of course. However, could you please explain what about it leads you to the conclusion that "he was able to get a good look at his customer" (and, more importantly, he was able to remember him)? His initial description was of someone 15 to 20 years older than Megrahi, about 6 inches taller, and much more heavily built. He never actually said the man was Megrahi at all - only that he "resembled" him. He said at one point that a photo of Abu Talb was even more like the purchaser than Megrahi was. Remember that this purchase occurred in November 1988. He was a shopkeeper, serving customers every day of his life. This wasn't someone who came to his shop regularly, this was someone he saw only once. He wasn't even asked about this customer until September 1989. He wasn't shown the picture of Megrahi until February 1991, and then he said that although he resembled the purchaser he was too young. What sort of eidetic memory would he have needed to have a hope of getting this right - especially working from bad photographs rather than seeing the actual man? And remember, Gauci was officially "an apple short of a picnic". The conduct of the photo-identity spreads was highly improper, and allowed massive opportunity for the policemen conducting them to influence Gauci to pick the desired photo - not necessarily deliberately, but because they knew which was the suspect's picture, they would inevitably send out unconscious clues when he was getting "warmer". The whole thing is a classic exercise in leading/training the witness, and when you realise how much money was being hinted at, it becomes easy to see why Gauci was so eager to please. One striking thing about the statements is how he retracted certain early, and apparently quite confident assertions, as he gradually realised (from all the media publicity about the case) that his descriptions didn't match the "wanted" man. So "a 42 inch jacket would be too small for this man, his collar size was about 16½-17 inches and his waist about 36 inches" (none of which described Megrahi) turned into "I'm not an expert on height and build". Uh, no, you just sold clothes for a living, Tony. Have you looked at the role of Paul Gauci, Tony's brother? Paul who was also awarded a million-pound reward, not for helping pinpoint the day of the purchase, but for keeping his brother up to the mark. Paul who was agitating about money and rewards from very early on, and who had a lot of influence over his rather dim sibling. Paul who is also living in luxury in Australia now. This is all discussed at length in expert witness reports available online. Of course we may all have our own opinions, but forming an opinion without looking at the evidence seems a little rash, don't you think? Why do you have such a need to believe this guy guilty that you'll decide what you think just on the basis of wanting to think that? This is just as silly as your "two-men-in-a-spaceship" analogy. Yes, if there were only two men in a spaceship and one was found murdered, the remaining one must be the murderer (assuming it wasn't actually an accident, and there was no influx of homicidal aliens). That has no relevance to this case, because the "spaceship" is the entire European air traffic network, to which many millions of people had access that day, and the credible suspects are any European, North African or Middle Eastern terrorist group, of which, sadly, there are quite a few. Now you're saying that if the authorities had access to definite proof of guilt, but that proof was inadmissible in court, then he'd be guilty. Yes, and if my auntie had balls she'd be my uncle, as Badly Shaved Monkey once said to a homoeopath presenting a similar argument. I'm sorry, but we have to go with the evidence available to us. That does include evidence which was deemed inadmissible in court, but which is in the public domain, of course. What it doesn't include is "evidence" that you've dreamed up out of thin air. Forgive me if I've misunderstood you, but are you saying that "for some reason" I disagree with your assumption that there must be some super-secret evidence against Megrahi that we don't know about? Well, Yeah, I do. Funny, that. You're now saying the evidence implicating Megrahi is stronger than an illegal surveillance camera actually catching him in the act? Or have I misunderstood you again? If you want to argue the strong evidence, please carry on. However, so far all you've said is that you think Gauci positively identified Megrahi, apparently from a position of zero familiarity with Gauci's recorded testimony. It's not very impressive, you know. M, you just don't know when to quit. Hint - it was before that last post. If you'd care to discuss your sudden squall theory, there's a thread where I'll explain why that's wrong as well. Otherwise, just accept that your endless parting "maybes" are just word salad to cover for your fact-free faith. Otherwise, just accept that your endless parting "maybes" are just word salad to cover for your fact-free faith. I wouldn't call it exactly fact-free. Yes I do need to ignore or dismiss parts of evidence in order to fit in in my beliefs, but that goes both ways. That's what is bound to happen when you have no direct evidence. You could say I have to ignore more and that your version is therefore more reasonable, and more likely to be correct. That position would be rather difficult to disagree with. Gah, here I am arguing the same points. He would be found not guilty by a sensible court, even though he was actually guilty (not in the legal sense, obviously) of the crime. Didn't you know? Scratch the "must have" in favor of "might have", and you have a much better approximation. What, do you think all evidence always makes to the court or something? You're now saying the evidence implicating Megrahi is stronger than an illegal surveillance camera actually catching him in the act? Or have I misunderstood you again? Last edited by McHrozni; 17th March 2010 at 04:18 AM. I suppose if I do have anything to add (in direct response to Mr Logic (hi)) it's in the same vein as Rolfe mentioned above. It's only my incredulity with which people blithely assume that 'we got the right man for blowing up a jumbo jet and killing 270 people, because our investigators and court said so'. Even if the evidence isn't correct or wasn't actually revealed! In our democratic and just society these issues of course should therefore not called into question. Only I find myself further confounded that when presented with the most tenuous and circumstantial set of circumstances and evidence claiming to prove guilt of someone instrumental in the horrific mass murder of 270 people, that on closer inspection this slender and incidental evidence itself is littered with inconsistencies and contradictions. The importance of the investigation, trial and conviction of Megrahi is seemingly inconsequential to those who either ignore these blatant failures of our law and justice system or who on simply on other preconceived notions will continue to condemn the accused and convicted regardless. Well, I might say that, but I have a different take on it. My interest is in figuring out what (probably) happened to Pan Am 103. For 20 years I've been reading articles and letters and points of view stating categorically that stuff was covered up, and Megrahi quite obviously didn't do it. And this isn't in Twoofer web sites, but in the respectable daily broadsheet newspaper that comes through my letter-box every morning, and even on the BBC news. At the time of the trial, I remember a great deal of coverage to the effect that the verdict was perverse, in particular to the impossibility of Megrahi having got the suitcase on to KM180 without an accomplice, and yet the alleged accomplice was definitely shown to have been nowhere near the place at the time. I had a mild interest in becoming better informed, which was rather stymied by the first book I bought about it being well-nigh incomprehensible. A couple of years ago (when the SCCRC report was published) I came to this forum area to find out more. I thought perhaps the whole thing had been subjected to a comprehensive Gravy-style debunking, which would save me a lot of time and effort. I was (and still am, really) entirely open to the conclusion that the court verdict was correct all along, indeed I thought that's what I might find to be the case. So with the help of a few knowledgeable people here, I gradually looked at the evidence available, bit by bit, and gradually got up to speed on the subject. I'm trying very hard to take account of all the evidence available. It's difficult to know what's relevant and what's coincidental, however it is important not to dismiss anything out of hand. So I'm really quite interested in examining the view that Megrahi did it, if that is based on logic and evidence. (I know how I'd try to support that argument if I had to, though I fear it does run into the sand after a bit - you haven't touched on the aspect I'm thinking of though.) I'm not impervious to argument or persuasion. I'd be quite keen to know which parts of the evidence I'm "ignoring" (rather than discounting on reasoned grounds), because I don't want to do that. Unlike you, I don't have a "belief" as such, only an opinion formed after much reading and discussion. So if I'm ignoring relevant facts, I want to know which these are. It's tempting to say, thank you for admitting you have a pre-determined belief, and that you're prepared to ignore evidence in order to go on holding it. That would be a bit petty, but I do think a slightly more open mind might be of benefit here. You're not actually David Shayler, are you? In fact, it's a bit more sensible coming from him, because he at least had some inside access to the security services. You, on the other hand, have had to be led by the hand through even the evidence in the public domain (well, some of it ), so I seriously doubt that you have any knowledge about secret evidence the authorities couldn't bring to court. Your problem is that you have no foundation for your assumption that secret evidence exists. We know the nature of the "killer evidence" that led to the authorities believing they had a good case to bring to court. It was called Abdul Majid Giaka. It's not secret at all. The CIA hoped Giaka could give them a lead to Lockerbie, so they pressed him on it, with threats of cutting off his funds if he couldn't give them anything. Giaka, concerned about keeping his income going (and keen for the relocation to the USA with a new identity, which he was promised and was actually given), simply made up a story about a couple of people he thought were connected to the Libyan security services. The real mystery is why, after the revelation that Giaka made it all up to keep the CIA payments coming, the judges still convicted. I think it's fairly straightforward myself. I don't think they could face the embarrassment of the whole circus ending up without a conviction - whether they realised it or not. Nowhere in that series of events is there any need for an assumption of further, secret, inadmissible evidence. The only need for that is if you have a desire to keep on believing that Megrahi was guilty. Which I have to say, I don't understand. I could say discounting on reasoned grounds just as well as ignoring. I see no need to state all that again. The evidence implicating PFLP-GC is all highly circumstantial and easily discountable as prrof of their involvement. Again, that doesn't mean they weren't involved, but there is no proof of it. If they went to a trial with what we have against them right now, it would be most likely dismissed for lack of evidence, or at least resulted in a not guilty verdict. You may be right. Just so you know, I have changed my opinion somewhat since coming here, but not enough to think that Megrahi was completely uninvolved and PFLP-GC was the cultprit. I think that the most likely explanation is that he was assisting them in the crime, such as providing them with clothes and the timer, possibly without even knowing what they were using them for. And what does that have to do with the price of fish? You're very keen to point out that even if Megrahi had been found not guilty (which he wasn't), he could still have done it. The same applies to Jibril & Co. Just because the evidence might not be enough for a conviction doesn't mean they didn't do it. But that is so totally not the point. I've explained a dozen times that the arguments that Megrahi didn't do it are in no way dependent on proving that Jibril did it. Jibril was only brought up because you insisted on having another plausible suspect before you would even discuss the very possibility that Megrahi didn't do it. But hey. Maybe Jibril didn't do it either. Maybe any one of the half-dozen or so other theories is nearer the mark. Maybe we really and truly have no more idea who blew up that plane than we have of who murdered Jill Dando. That doesn't mean we have to cling to our belief that the man who was charged with the crime did it. If the evidence doesn't support his guilt, then you have to accept that so far as you know, he didn't do it. Even if you have no freaking clue who did. But yet again, this point of view seems to be based on faith, not reason. The evidence that he bought the clothes just doesn't stand up to scrutiny any way you slice it. I don't know why you keep asserting that he did. And why the blazes would the PFLP-GC need Abdelbaset al-Megrahi (the Director of the Centre for Strategic Studies in Tripoli, not the sort of person you use as an errand boy) to give them a pile of clothes bought in Malta? Abu Talb, one of that group, already had a house full of new clothes he had acquired in Malta! Megrahi had dealings with the manufacturer of the timers, but not in connection with the supply of the timers. He was never shown to have laid a finger on one of these timers, at all. Even if the timer was supplied to the PFLP-GC by Libya, there is precisely zero evidence to suggest that Megrahi himself had any involvement in this. You seem to have a strong need to go on believing that the man who was convicted of the crime was actually involved in some way, even if your suggestions have nothing to do with the actual allegations against him. I don't really understand that. It's a shocking thought, that the wrong person was convicted (and maybe even more shocking for me, because it was my country's legal system that convicted him), but you know what? It happens. And, sadly, it's especially likely to happen where there is strong political and public opinion pressure to solve a particular crime. Last edited by Rolfe; 17th March 2010 at 06:44 AM. As promised, I'm posting Brian Flynn's list of "things to consider" as regards Megrahi's guilt, for us to chew over. 1. Libya had the motivation to carry out the attack due to the US raid on Tripoli in 1986. 2. In September 1989 Libyan agents bombed a French flight over Africa. 3. Libyan officials received 20 sophisticated timers from MEBO. A fragment of one was among debris found at Lockerbie. 4. Libyan officials were trying to get additional timers in December 1988 and only "cancelled" their order when they said they "had what they needed." 5. Megrahi was a member of the Libyan Intelligence Service. 6. Megrahi traveled to Malta on December 7, 1988 and purchased clothing and other items from a shop which ended up at Lockerbie. 7. The Fhimah diary (co-conspirator) documented that he had accomplished the task of obtaining "taggs" from Air Malta in mid December 1988. 8. Fhimah's airside access badge, good until December 31, 1988 was found in a desk which he used after that date indicating he had it in December 1988. 10. Megrahi traveled with Fhimah on his false Abdusamad passport and stayed in Malta less than 24 hours. 11. Megrahi had a connection to the Swiss company, MEBO, which made the timer. 13. Libya took responsibilities for the actions of its agents. Here are my preliminary comments. He provides the counter to his initial point himself. Lying to a journalist does not prove that the person in question committed a terrorist act. And? The relevance of this point completely escapes me. Did anyone suggest Libya was not a terrorist state? Maybe someone should have told Maggie about that one, or perhaps dead Frogs don't count. These 20 timers were supplied in 1986. Later, two were found in Togo and two in Senegal. Libya was well known for acting as "quartermaster to the world's terrorists" at that time. It supplied much of the armaments used by the IRA at that point. There is no particular reason why a fragment of MST-13 timer would even point to a specific Libyan operation. It certainly has no bearing on whether Abdelbaset al-Megrahi was involved in smuggling a bomb on KM180 on 21st December 1988. And? Maybe they'd sold them all. Maybe they then secured a supply of a sutable alternative product. This has nothing to do with whether Abdelbaset al-Megrahi was involved in smuggling a bomb on KM180 on 21st December 1988. Agreed. So were a lot of other people. That doesn't in any way implicate him in the events of 21st December 1988. No, he really didn't. The evidence of Tony Gauci describes a purchaser at least 10 years older than Megrahi, significantly taller and of much heavier build. Tony was consistently shown pictures of men younger than his description, and encouraged to pick out someone who resembled the purchaser. He originally picked out Abu Talb on that basis, and although he later also agreed Megrahi resembled the purchaser, he qualified this by saying that Abu Talb was a better resemblance. At the identity parade, by which time he'd learned to pick Megrahi out by looking at press photographs, he said Megrahi was not the man he saw in his shop but he looked like him. As regards the day of the purchase, 7th December was a poor match for Tony's recollection. His initial recollection was that the Christmas lights were not yet lit and it was raining slightly. The Christmas lights were lit on 6th December and there was no rain recorded at the airport that evening, only three miles away. Perusal of Tony's evidence shows him backtracking on a number of points he was quite sure about initially, for example the Christmas lights, and the age and height of the purchaser. This becomes easier to explain when it is revealed that both Tony and his brother were anxious to receive a reward for getting the identification right, and knew that life-changing sums of money were available. After the trial, Tony was paid "in excess of $2 million" and Paul "in excess of $1 million" - the latter not for giving evidence, because he didn't, but for "maintaining the resolve of his brother". It's clear that Paul was coaching Tony on the identification. Fhimah turned over his diary voluntarily to investigators two years after the disaster. The point about the "taggs" entry was fully explored at the trial and discounted by the judges. There was evidence to support his explanation that he wanted samples to show to a printer. There was no evidence at all to place Fhimah at Luqa airport on the morning of 21st December. So his possession of an airside pass is irrelevant. Several witnesses (e.g. the Air Malta check-in girl) knew Fhimah well by sight. None had seen him that morning. Lots of people travelled to Malta from lots of places on 20th December. Are you going to accuse them all of being the bomber? Megrahi had used the Abdusamad passport in the past, and it was never shown he had used it for any illegal activities. Its use on 20th/21st December suggests he was engaged in something undercover at that time. This may well explain why he never stated the purpose of his journey. It might be circumstantial evidence of involvement if the bomb started its journey in Malta. Which, as they say, is required to be proved. No doubt many people had a connection to MEBO. Megrahi was never shown to have had any connection with bomb-making or terrorist activities, nor to have been in possession of any of these timers. Huh? Gadaffi said something dramatic he never followed up on? Sorry, can you get any more tenuous? Libya wrote that letter as a political move to bring to an end the sanctions imposed on the country following the suspicions regarding Lockerbie. They were "playing with words" (Saif al-Islam). It's easy to take responsibility for the actions of your agents if you tacitly reserve the right to deny that your agents actually performed the actions in question. And that seems to be it. Almost all the points tangentially relevant, if at all. No attempt to show the bomb was ever within a thousand miles of Luqa airport. No attempt to support the statement that the clothes were bought by Megrahi on 7th December, which is a point so seriously undermined it disappeared beneath the waves some time ago. No attempt, either, to explain why any terrorist would plan and execute a plot of such mind-numbing stupidity, which could only have succeeded by the merest fluke, and where the incredibly successful part (the fact that no trace of the bomb or its introduction into the airline system was ever found on Malta) was completely negated first by carrying out an extremely conspicuous purchase of brand new, locally-manufactured, traceable clothes only three miles from the airport where this impenetrable plan was to be carried through, and second, by the same person who bought the clothes also showing up at the airport at the crucial moment, for no readily apparent reason. I was hoping Bunntamas might come and defend some of these points, so maybe bumping this thread with them will encourage him. Last edited by Rolfe; 10th August 2010 at 03:43 PM. I'd like that too, but I'm afraid anything I could say will scare him off. For example, I want to go back to those points above and Flynn's intro. I can't get it to come backup now, but something like letting the facts speak for themselves. So far, they're kind of mumbling. One thing I’m beginning to pick up on is that Brian Flynn, and possibly Bunntamas and other US family members too, tend to take the alleged "Libyan plot to introduce the bomb at Malta" as read, as the prima facie "way it was done", so that any tenuous scrap of information that might support that (such as general evidence that Libya was a terrorist state) is held to provide support for the theory. As I mentioned in my last post, this plot is anything but obvious or sensible, and I think it’s worth looking in detail what the "Official Version" actually alleges the conspirators did. Second, the suitcase had to be smuggled on to KM180 on the morning of 21st December. Again this was a resounding success. Not only was this completely undetected, the strength of the baggage record evidence from Malta was sufficient to amount to virtual proof that that hadn’t happened. The identity of the person or persons who actually accomplished this also remained undetected, as Megrahi certainly didn’t do it – he didn’t go airside that morning, all he did was catch his plane to Tripoli. So far so good. Wildly successful plot, with absolutely no trace of the bomb or the suitcase ever being found on the island of Malta or its airport. But then what did the conspirators do? Rather than source the clothes in the bomb bag from a charity shop, or a big anonymous department store, or even just any clothes old enough not to be traceable through the manufacturer, they chose to make a very conspicuous special purchase of all (or nearly all) the clothes from a small shop in a way almost calculated to make the shopkeeper remember the transaction. The shop was only three miles from the airport where the astonishingly-concealed introduction of the bomb was being planned, and they chose brand new, locally-manufactured clothes that would be remarkably easy to trace to the island from anywhere in the world. Next, the same individual who made that conspicuous purchase then showed up at the airport at the time the bomb was being introduced – for no readily apparent reason, as he appeared to take no part in the actual introduction of the device (not going airside at any time). Although he was travelling on an undercover passport, that passport was one he had used before and was traceable to him. Once again, bear in mind that Megrahi was quite a high-placed official. It seems incongruous that he would personally undertake the purchase of the clothes, especially if there was some aspect of the plot that required him also to show his face at the airport at the crucial time. The clothes purchase completely undermines the spectacular success in concealing all trace of the bomb on Malta, and for the same person to undertake both that aspect and a role in the airport part of the introduction is simply suicidal. Then what? The suitcase was sent on its unaccompanied way through the airport baggage system of northern Europe, in winter, at the height of the Christmas rush. The route involved three different flights, and two more airports after the initial introduction. It could simply have been lost – lost airline luggage is hardly unusual. Any of the flights could have been delayed by bad weather, mechanical problems or other operational glitches, and a connection missed. Frankfurt airport had a computerised baggage system, and it would have been expected that examination of the full records immediately after the disaster would allow the bomb suitcase to be reliably tracked through the airport and back to the Malta flight, again negating the highly successful covert introduction on Malta and leading investigators right there. All luggage coming through Frankfurt airport on to PA103A was x-rayed, by an operator who had recently been alerted specifically to the threat of a bomb disguised as a radio-cassette player concealed in a suitcase (the "Autumn Leaves" investigation), and to the "Helsinki warning" of a proposed attempt to blow up a Pan Am flight from Frankfurt to New York by means of a booby-trapped suitcase. The alleged plotters would have had to assume Kurt Maier would be asleep at the wheel that day. On arrival at Heathrow, the suitcase would be put randomly into the baggage container for PA103. By my estimation, only about 30% of the cases in that container were positioned so that an explosion in one of them would blow out the hull of the aircraft. There was about a 70% chance the explosion would have been non-lethal. The explosion was triggered by a simple timer, set for 19.00 (well, 19.03) GMT. The plane was only scheduled to take off about 18.10-18.15 GMT. Any of the operational problems mentioned above could have seen it still on the tarmac at 19.03, and again the explosion would have been non-lethal (and these Maltese clothes all right there to be traced immediately). The plane wasn’t due to land at JFK until 01.40 GMT – a flight time of 7 hours 40 minutes. There’s no rational explanation for the timer to have been set so early, when the plane might still have been on the ground, or even if on time, still close enough to a major airport for an emergency landing to be feasible if the positioning of the case was such that the damage was sub-lethal. You could say, yes it was a stupid plot, an extremely long shot, but it worked. However, international terrorist conspirators don’t pin everything on a string of luck like this. In particular, the assumption that Kurt Maier wouldn’t spot the device on his state-of-the-art x-ray machine is a ridiculous chance to take. (All the “Frankfurt baggage-switch” Lockerbie conspiracy theories rely on active circumvention of the x-ray stage by the conspirators.) Banking on the fortuitous positioning of the suitcase right up against the weakest part of the aircraft hull is another very long shot. And for goodness sake, the timer should have been set for about midnight! We often say on this site, "extraordinary assertions require extraordinary proof". There’s an element of that here. Maybe the Libyans really did plan and execute such a bizarre plot, and against some pretty heavy odds and by a bit of a fluke, it worked. However, proving this requires a bit more than vague statements to the effect that Gadaffi was a bad man and Megrahi was one of his officials. What evidence is there, actually, that the Lockerbie bomb did take this circuitous and chancy route? 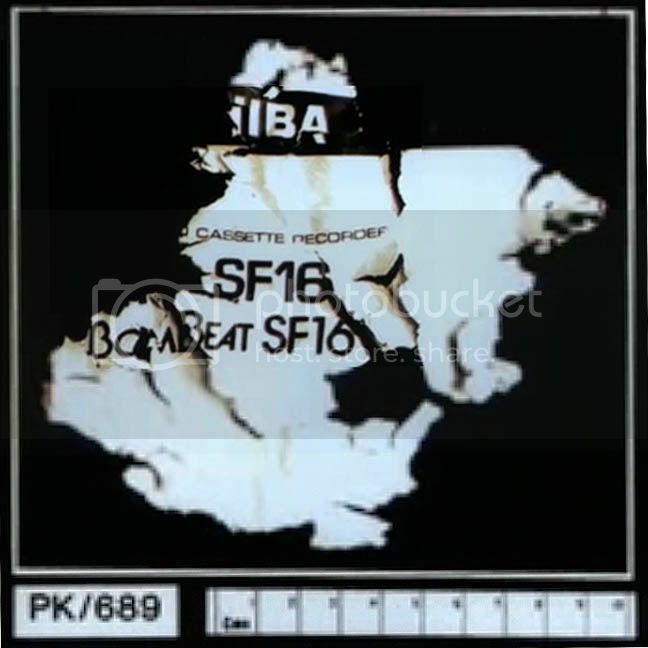 Nothing at all, but that one-line entry (B8849) on Bogomira Erac’s souvenir computer printout, emerging from the black hole of the lost/disappeared/destroyed Frankfurt baggage records, eight months after the disaster. That’s it. Take out Bogomira’s morbid little souvenir, and all you have is some clothes bought in Malta at least a fortnight earlier, which could have gone anywhere in the world in that time, and Abdelbaset al-Megrahi catching his flight to Tripoli that morning while using a diplomatic "coded" passport, just one of millions of travellers who were going about their business at that time, all over Europe, Asia and north Africa. Unless someone has some evidence we don't yet know about. The situation screams for cognitive dissonance. How could it not settle in? All the color and then the gray would bleed from the picture, leaving black and white and they know they have to be white. Nonetheless, the noise in their heads must get just too loud to handle at times. Did any of you know that LAA was in charge of baggage / security for ALL of Luqa in '88? LAA is of course Libyan Arab Airlines, for whom both Megrahi and Fhimah (I believe?) had worked, assumed in the investigation to be affiliated with the JSO and a cover for terrorist operations. In charge of security at the only international airport in a neighboring sovereign nation? I'm guessing you embarrassingly confused air Malta and LAA. It's understandable, given the degree of complicity/subornation implied in Megrahi's plot being allowed to bloom like that unhindered. Your friend Frank Duggan seems to lean this way himself. source with link to original quote. Anyway, Bunntamas hasn't come back yet to tell me if I'm right or if he has some major evidence of a whole new conspiracy theory. I looked up his screen name and found it's an old Gaelic word meaning something like "sense/solidity." I think the silence in this circumstance shows it's an apt screen name. I also find it incredible on first principles that LAA would have been in charge of security. Libya was recognised as a terrorist state at the time, and although they also ran perfectly normal operations, it would be a bit like putting the fox in charge of the hen house. It's also never mentioned at the trial. What is said is that there was a JSO presence at Luqa, but it's also pointed out that there was a JSO presence at quite a number of European airports, including Frankfurt. One noteworthy point that came up in the evidence was the matter of baggage reconciliation. Air Malta did it all by counting bags, and if the right number of bags were there, that was OK. This wouldn't of course prevent a bag-switch, and the Lockerbie investigation had to do a lot of work after the event to prove that a bag-switch hadn't happened. It was remarked that the only airline flying out of Luqa that carried out actual reconciliation was LAA - passengers on that airline had to physically confirm that the bags were theirs before take-off. Well, I finally managed to get in here. And none too soon. It's getting quite heated over there at Pr. Black's blog, and I've been spending far too much time on stupid comments of late whilst waiting to be approved for JREF when I should have been compiling answers to your points above. Phew! Good to be here... I hope. You mentioned in comments on Pr. Black's blog that folks don't bite here, at JREF, so I'm hoping you're correct. I'm up for debate, but folks twisting my comments around to a different meaning, I am not. So, if it heads in that direction, I'm outta here. And hopefully my bumbling attempts at humor won't get me booted. I'll try to be as polite as possible, and keep it civil. Sorry it took me so long. And it may take me a bit longer. Your points are all good ones, so I want to make sure I respond in a learned, experienced manner. I have a ton of documents I've accumulated over the years, and I'm still sifting through them. Plus, I do have a life beyond posting comments on blogs and forums, so that takes time too. I'll be back, with answers, and hopefully we may discuss all your points above ...nicely.